Figure 7. 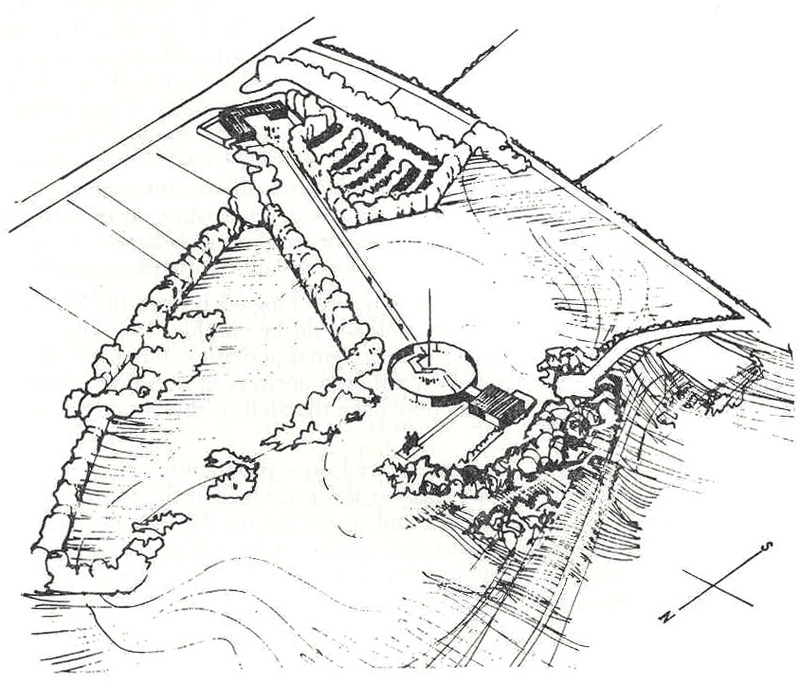 A sketch illustration by Eric Stevenson of the proposed 1960s Hilltop scheme, which still followed Matthews sketch ideas with a small interpretation centre attached to the rotunda. The visitor centre near the roadside also illustrates the piazza idea as a starting point of the main axis to the Hilltop scheme. Plantations frame the main vistas from the rotunda (Stevenson/NTS, 1962).